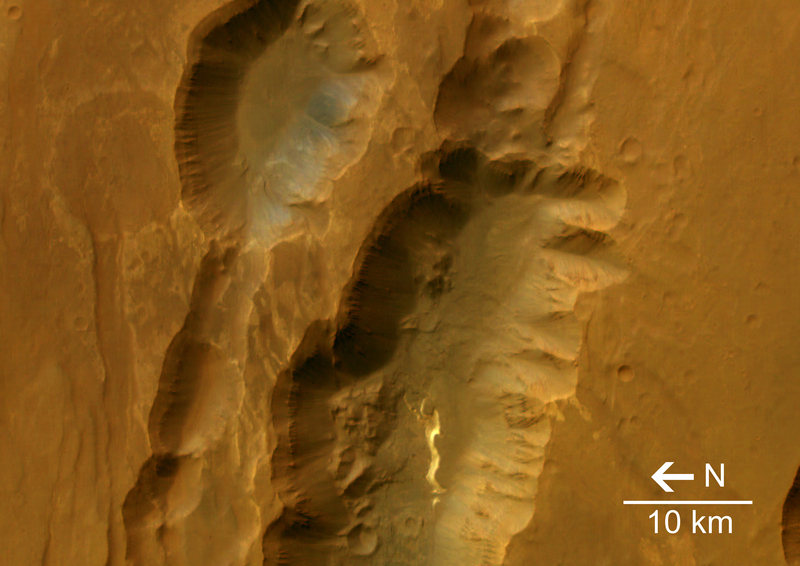 Today's Image of Mars is of Coprates Cantena, located in the Southern part of the Valles Marineris canyon system on Mars. Coprates Cantena is a chain of collapsed structures running parallel to the main valley, Coprates Chasma. It is not as deep as the main canyon, but you can still see layered deposits on the walls of the pits. This image was taken on May 25 2004 by Mars Express Orbiter. Clicking on the image will take you to the original, full-screen, high resolution image from the ESA.